In an age when the airwaves were tightly controlled by the authorities, pirate radio was the illicit and illustrious haven for music lovers across the nation. From the first broadcast in 1964, the cowboys of the radio world fed their listeners' desire for pop and rock music and, by doing so, changed British radio forever. Through more than 100 crisp, black-and-white photographs, Pirate Radio: An Illustrated History brings to life the 'golden years' of pirate radio. Featuring pictures of the crew, the boats and the fans, this book takes the reader on a journey from the formative years of pirate radio, through its political persecution and beyond. 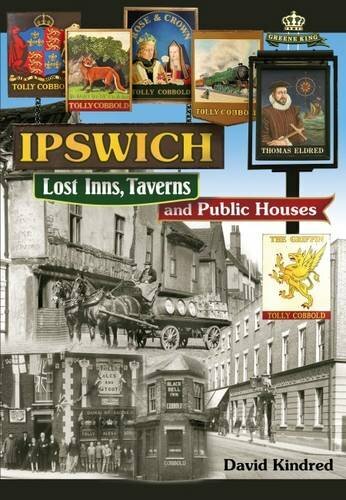 The book is a remarkable record of some 400 public houses, inns and beer houses. The entries are organised into two sections. The first describes the public houses that have been closed since 1919 and includes photographs of the establishments, while the second lists closures from the eighteenth century to the First World War punctuated with photographs where available. Standing on a wooden disc about a foot in diameter and saluting does not sound too much of a challenge, unless it is 143 feet above the ground and you only have a lightning conductor to grip between your knees. This was the job of the button boy at HMS Ganges who had to shin up the last fifteen feet or so to climb on the button during ceremonial parades. The mast has been a local land mark since it was erected at the end of the Shotley peninsular in 1907.